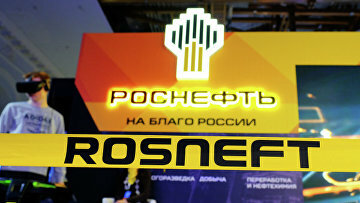 Final charges brought against ex-receiver in charge of Rosneft subsidiaries | Russian Legal Information Agency (RAPSI). MOSCOW, October 5 (RAPSI) – Investigators have brought final charges against Oleg Smetanin, the former bankruptcy commissioner of several Rosneft subsidiaries, as part of a criminal case over embezzlement of 300 million rubles ($4.4 million), the defendant’s attorney Eduard Geraskin has told RAPSI. Smetanin and Geraskin will begin to get acquainted with the case documents soon. According to investigators, Smetanin and other defendant in the case Sergey Bogdanov have forged some documents; as a result, a paper debt amounting to 3.2 billion rubles (about $ 7 million) has been registered with a Rosneft subsidiary. According to Russia’s Interior Ministry press-service, the defendants have used the forged documents to transfer 300 million rubles to the accounts of a dummy company. The money was allegedly cashed out and stolen. In December 2013, a court declared Nizhnevartovskneftegaz bankrupt with Smetanin being appointed as a temporary manager of the company. In 2014, a debt of 3.5 billion rubles ($52.3 million) was added to the company’s creditors demands list. Investigators believe the documents related to the debt have been forged. 10:59 05/10/2018 Investigators have brought final charges against Oleg Smetanin, the former bankruptcy commissioner of several Rosneft subsidiaries, as part of a criminal case over embezzlement of 300 million rubles ($4.4 million).